Included at no additional cost as part of your NNRMLS membership. No credit card required. 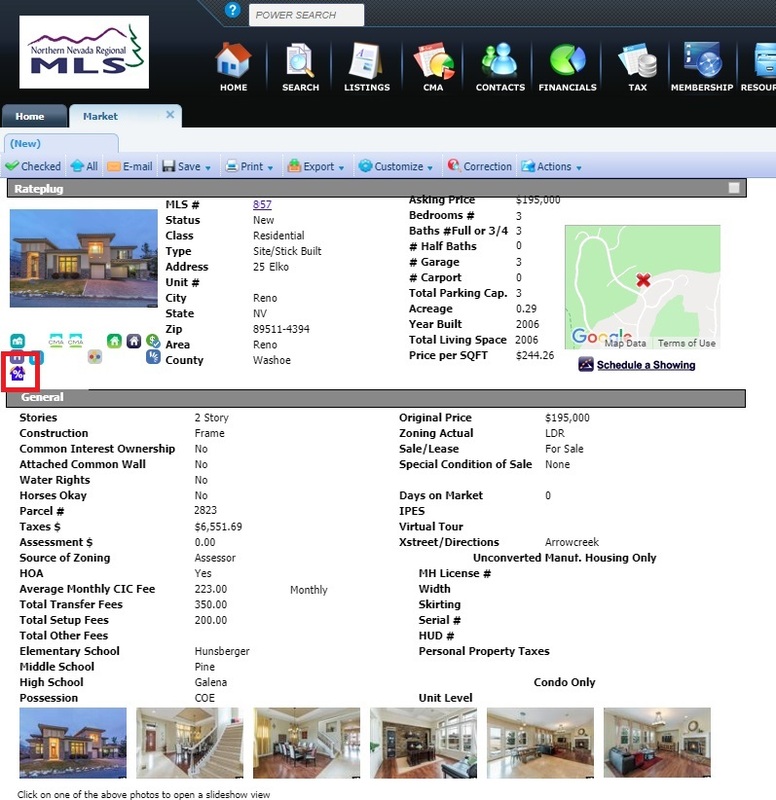 The screenshot below is an example of how RatePlug may display for buyers within the local MLS system, Paragon. The layout of the property information and location and type of RatePlug displays and links will vary depending on the MLS System that is used to generate the report. This is a live demo. RatePlug shows near the bottom of the page. You can enter the Estimated Sales Price and Down Payment and hit calculate to see RatePlug in action. In addition, A sample report may be available for viewing within Paragon for all NNRMLS members. Look for "Rateplug" within the property detail report choices to determine if a Sample Report is available. RatePlug may also be displayed in other Customer Reports via a link. See Report with Link Sample. To see a detailed example of the RatePlug display specific to this market click on the following link: NNRMLS / RatePlug Install Reference Guide.